Scan from the artbook by Yone Kazuki! I like this image alot. Look really beautiful! Kyaaa~~~You've bought Zanka artbook x3. I love it! Kazuki Yone drawings are the best! x3 And, how i also love Hiiro, better! 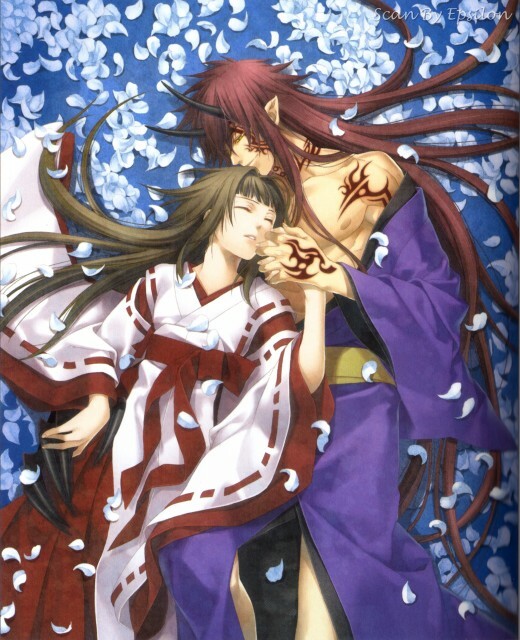 Can i ask you, how many hiiro no kakera scans are? And what other games are included in the artbook? 'Cause i'm trying to find a way to buy this artbook. ...Why is Takuma dressed like that? I love his tattoos. Thanks for sharing! Beautiful scan! Thanks for sharing! 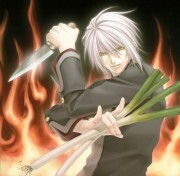 i love Kazuki Yone too!